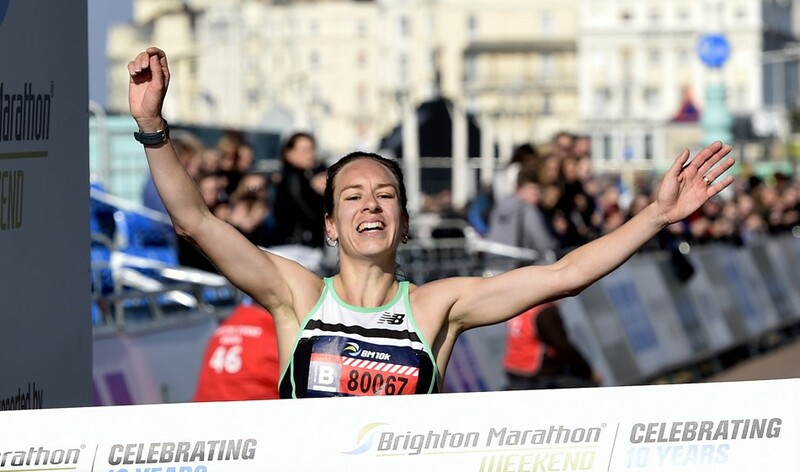 Steph Twell enjoyed an emphatic victory in the BM 10km as Nick Goolab led a number of Brits under the 29-minute barrier as he took the men’s race on the roads of Brighton. Twell clocked 31:58 to finish just over a minute ahead of GB world cross competitors Mhairi Maclennan (32:59) and Emily Hosker-Thornhill (33:03) with Kate Reed, the 2008 Olympian, showing a good return to form in fourth (33:08). 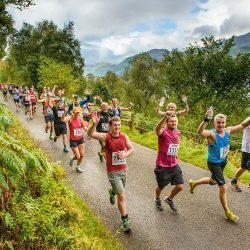 Goolab (below) clocked a course record of 28:22 from Adam Hickey (28:53), Andy Heyes (28:56), Jack Gray (28:57), Shaun Antell (28:57) and Phil Sesemann (28:58) with Ben Connor, returning from injury, just outside 29 minutes. 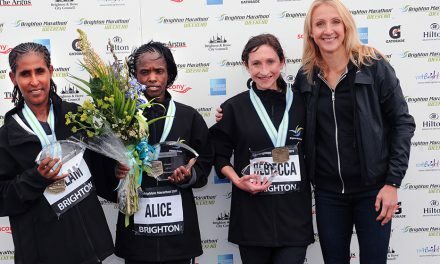 In the Brighton Marathon itself Peter Le Grice of Bristol & West and Helen Davies of Ipswich Jaffa took the men’s and women’s titles. In cold and blustery conditions Davies (below) clocked a PB of 2:34:08, while Le Grice ran a PB of 2:16:23 – the fastest time by a Briton on this course. 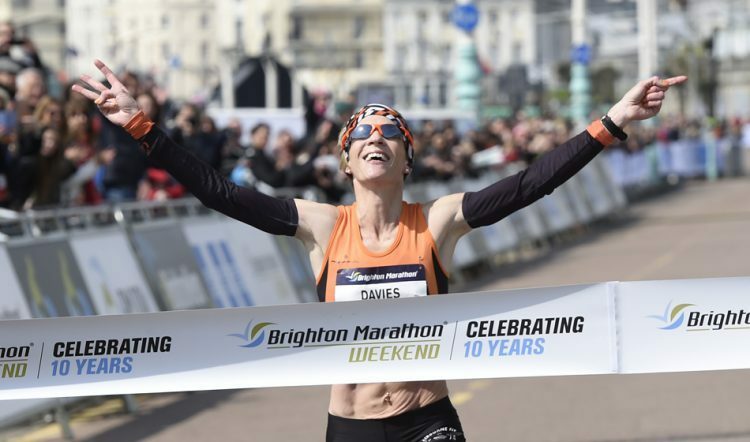 For Davies it was a hat-trick of wins as she retained her women’s title, finishing 14 minutes ahead of her rivals. 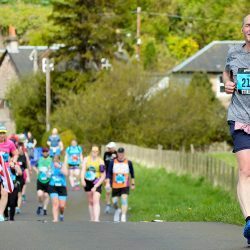 She said her aim was to run a PB, which she did, but she felt she would have run about two minutes faster if it had not been for a chilly headwind in the final four miles. 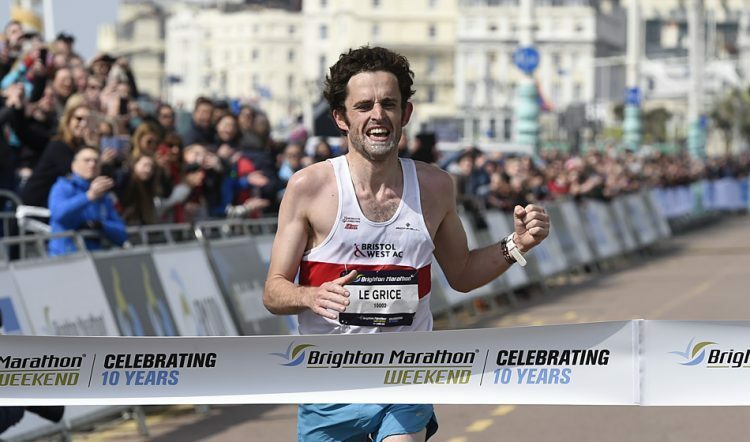 In contrast Le Grice (below) was competing in Brighton for the first time and he shared the early pace with Rob Corney before kicking ahead to win by almost two minutes, smashing his PB of 2:21:30 to post his first marathon win. 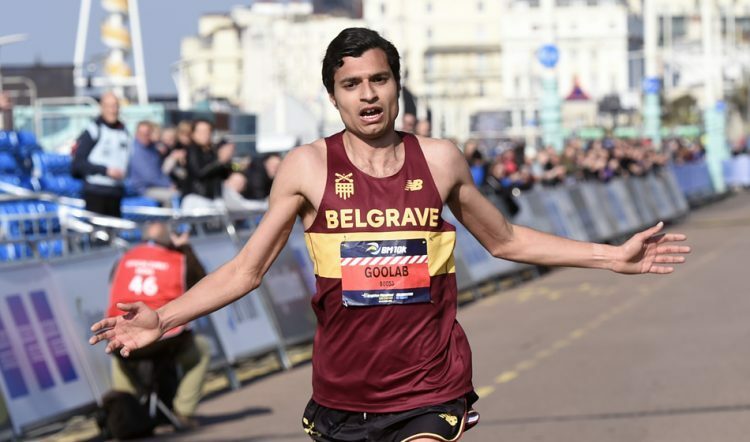 Le Grice plans an autumn marathon and his next race will be the Vitality London 10,000 on the roads on May 27 – a race Davies will also be doing after running in a 10km event in Woodbridge earlier in May. In the Schneider Electric Paris Marathon there was an Ethiopian one-two-three in the women’s race as Gelete Burka clocked 2:22:47 to beat Azmera Gebru (2:22:52) & Azmera Abreha (2:23:35). 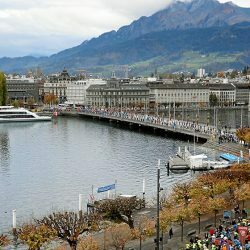 In fourth, Clémence Calvin ran a French record of 2:23:41 after a tumultuous week that saw a provisional suspension dramatically lifted on Friday after she was earlier accused of failing to co-operate with anti-doping officers in Morocco last month. 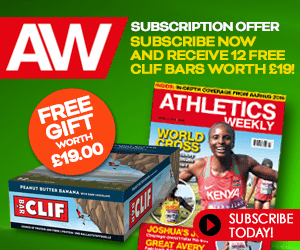 Abrha Milaw took the men’s victory in Paris in 2:07:05 from fellow Ethiopian Asefa Mengistu (2:07:25) as Paul Lonyangata of Kenya saw his hopes of winning a hat-trick of titles in Paris thwarted as he was third in 2:07:29. At the age of 56, Spain’s 1994 European and 1995 world marathon champion Martin Fiz clocked 2:27:45. 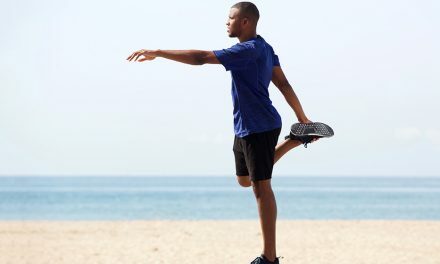 Meanwhile, in sprints action over the weekend Adam Gemili ran an early UK 100m lead of 10.11 (0.4m/s) for victory at the Grenada Invitational, while Miguel Francis ran 20.16 (+1.0m/s) to move to joint eighth on the British 200m all-time list. The 24-year-old has a PB of 19.88 but his time in Grenada is his quickest since having his GB allegiance confirmed in 2017 and it saw him win ahead of Olympic silver medallist Andre De Grasse as Justin Gatlin pulled up with cramp. Also in Grenada, Evonne Britton clocked a 12.81 PB (+1.9m/s) for a 100m hurdles world lead over Megan Symmonds with 12.93 and Nia Ali with 12.99. Shelly-Ann Fraser-Pryce won the 100m in 11.20 (+0.6m/s). 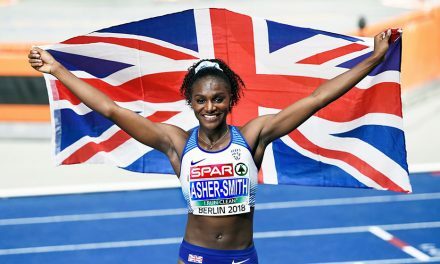 British 100m and 200m record-holder Dina Asher-Smith was among athletes in Southern Athletics League action over the weekend and stepped up to form part of Blackheath & Bromley’s 4x400m team, running the first leg in Gillingham. 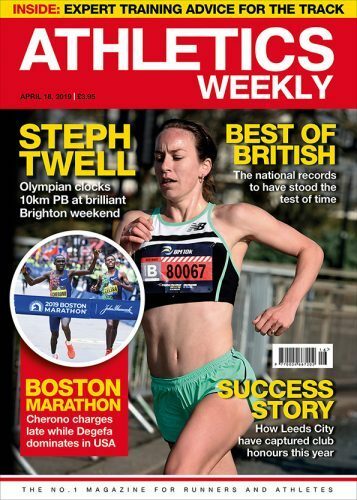 She ran a split time of 52.60 which contributed to the team’s Southern League and club record time of 3:40.54 which ranks 11th all-time among UK clubs and saw them win by 24 seconds. She was joined by Shannon Hylton who ran 55.43, Holly Mpassy with 56.85 and Krystal Galley with 55.60. Amelia Strickler threw a shot put PB of 17.51m in California to move from 10th to eighth on the UK all-time list. In Valencia, Britain’s Emile Cairess ran 28:48.15 and Mahamed Mahamed clocked 29:01.34 for 10,000m on the track. At The Armory in New York, CJ Albertson ran the fastest ever indoor marathon with a time of 2:17:59.4. His 211-lap challenge included a 30.8 last 200m. The fastest men’s UK parkrun time was set by James Hunt of Cardiff at Porthcawl with 14:57. The Stretford first finisher ran 15:03 but did so anonymously, while Edgar Sumskis ran 15:08 at Peterborough. Other notable first-placers included Jake Wightman, who did so at Bushy Park (which had 1231 finishers) in 15:21. 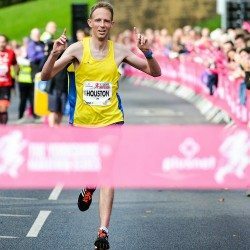 M40 Nick Torry, who the previous week had won the Paddock Wood Half Marathon, was first home in Dulwich in 15:22.
parkrun record-holder Andrew Baddeley, who was down in Brighton to help with the children’s runs, led in the Hove Promenade in 16:37. The fastest women’s time was at Bushy Park where Hayley Carruthers ran 16:05. Fionnuala Ross led home the women in Springburn in 16:52 and was the only other sub-17 woman runner. Women dominated the age-grading. W60 Lynne Higgins was the leading woman at Cleethorpes in 20:21 and scored 99.59%. 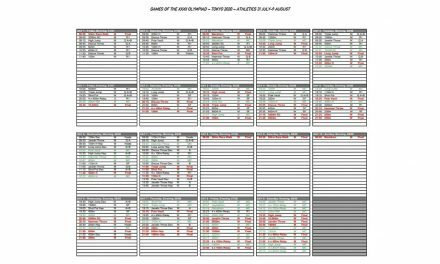 W55 Clare Elms ran Beckenham in 18:10 and scored 98.35% as she ‘first-finished’ her 151st parkrun in 151 parkruns. W60 Carolyn Milne (20:07 – 95.11% at Aberdeen), W70 Angela Copson (23:48 – 95.10% at Rosliston) and W70 Margaret Moody (23.44 – 93.82% at Basingstoke) completed the top five. Ten-year-old Fred Jones, the National Prep School champion, ran a superb 17:53 at Isabel Trail to finish fifth overall.